Widen and Resurface South 11th Street from CR-203 (Black Creek Parkway) to near Piedmont Avenue City of Gadsden / Etowah County. 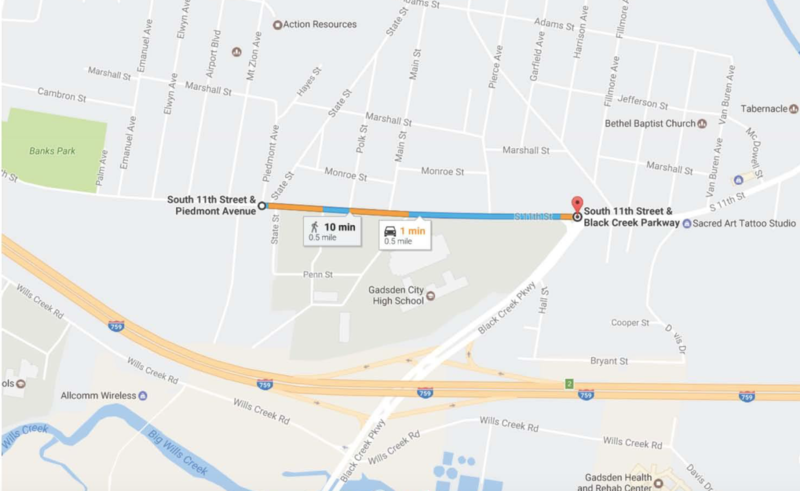 The proposed work is widening and resurfacing South 11th Street from Black Creek Parkway to near Piedmont Avenue in the City of Gadsden. The purpose of this meeting is to ensure that any interested parties have an opportunity to provide input regarding this project and share their views and comments regarding potential impacts. The meeting’s format will be an open-house format with no formal speeches or presentations planned. Representatives of the City, the consultants and ALDOT will be available to answer any questions relative to the project. Preliminary maps and tentative schedules will be available for review.